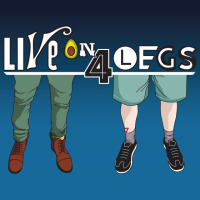 Hey folks, the next episode that we're recording for the Live on 4 Legs Podcast will focus on 2010's Berlin show. This was the 10 year anniversary of the Roskilde tragedy that brings back a lot of painful and emotional memories during powerful versions of Black and Come Back. What we're looking for are any first hand witnesses at this show. We want to hear your stories, your memories, your reviews. Even past just attending the show itself - maybe this was your first time traveling overseas from the US. Whatever your story is we'd love to hear it and use it on our next episode. Feel free to leave a comment here or send us an email at - [email protected].